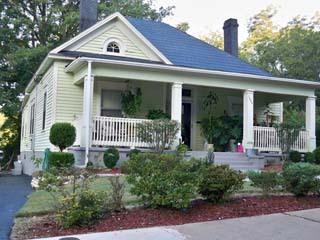 Looking to buy a home along the Atlanta BeltLine? Get connected to your perfect home, affordable financing, and your new neighborhood with The BeltLine Team! Are you one of many Atlantans who are excited about one of the country's biggest transportation projects and how the Atlanta BeltLine will connect 45 neighborhoods throughout Atlanta? Is your family growing and you’re looking for a bigger home in a friendly, walkable community in which to raise your kids? Are you tired of writing rent checks to your landlord every month and ready to buy your first Atlanta home? Well, you’ve come to the right place to start your home search! With The BeltLine Team, you get much more than a real estate agent. You get a market expert in buying and selling homes along the BeltLine, an agent who will help you find the perfect home with a great mortgage program, an agent who will take care of the details every step of the way and make sure you understand the process completely, and an agent who will help you get settled and connected with your new community. Find out exactly how much home you can afford so you can start looking for homes with confidence and financial peace of mind! Let’s get started! First things first – you need to find out exactly how much home you can afford. The days of buying too much home with dangerous loans are over, which is hugely beneficial to buyers in today’s market. Knowing exactly how much you can afford to pay in mortgage each month and buying a house within your pre-approved price range will not only give you financial peace of mind, but will also help you avoid possibilities of foreclosure in the future. You can start right now with our mortgage prequalification calculator by clicking here. You can also calculate your monthly payments by purchase price by clicking here. If you are not currently working with a lender, please click here for a list of trusted lenders! Take a FREE tour and discover which BeltLine neighborhood is right for you and how you can buy it with the BeltLine Affordable Housing Program! Click here to learn more about our BeltLine Affordable Housing Tours! Having a hard time deciding which BeltLine neighborhood might be the one for you? Click here for tips on choosing your neighborhood! Whether you’re new to buying a home process or a seasoned veteran, it’s helpful to review the full process from beginning to end! Click here for The BeltLine Team’s 8 steps to home ownership! Do you have an Atlanta home that you need to sell before you can buy your next one? We can help you with that – The BeltLine Team also specializes in selling real estate along the Atlanta BeltLine. You can find full information on selling your home by clicking here. Having a professional Realtor who understands the home buying process and negotiates exclusively on your behalf is crucial when making one of the biggest purchases of your life. And you don’t have to pay a fee! Find out how your Realtor works for YOU for FREE! You are most important person in the home buying process! This is our commitment to you. The BeltLine Team offers you a full range of services with a commitment to two main objectives. The first is to save you as much money as possible in your purchase by putting years of professional & knowledgeable experience to work for you. We want to see you accomplish the quality of life you deserve with your hard-earned money. Secondly, we provide you with a level of service and integrity superior to your prior experiences which will hopefully compel you to recommend The BeltLine Team’s services to your friends, relatives, co-workers, church members or anyone you know who’s looking to buy or sell a home in Atlanta! 10 mistakes you cannot afford to make when buying your home!